Take a free 90-minute narrated harbor tour (May to October). Visitors will learn about the Port, its operations and economic impact on the region. 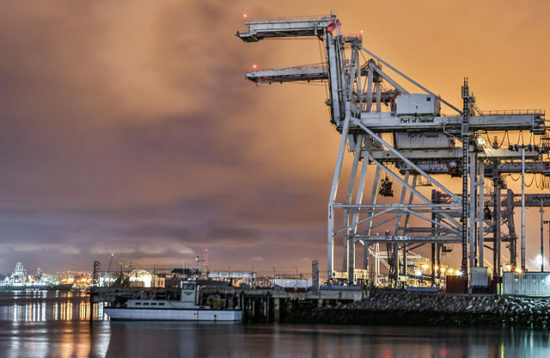 Harbor tours provide a unique vantage point because marine terminals are closed to the public. The excursions are a great way to give visitors a close-up look at how the Oakland seaport works. Boarding will take place at the Oakland Jack London Terminal (Ferry Dock) at 10 Clay St. (at Water Street) in Jack London Square, Oakland. Registration opens the first Monday of each month at 7 pm (PDT) and will remain open until filled. There are 230 spaces available on each harbor tour. Each registrant may reserve up to four tickets. Please note tour schedules may change. Visit portofoakland.com to confirm.